Cornwall was chosen to host the first day of the Olympic Torch Relay, with up a billion people worldwide expected to watch the Olympic Flame leaving Land’s End on the morning of 19 May 2012. Trisha was asked to lead a multi-agency communications team and devise and deliver a communications strategy to use the once in a lifetime event to celebrate and market Cornwall to the rest of the world. 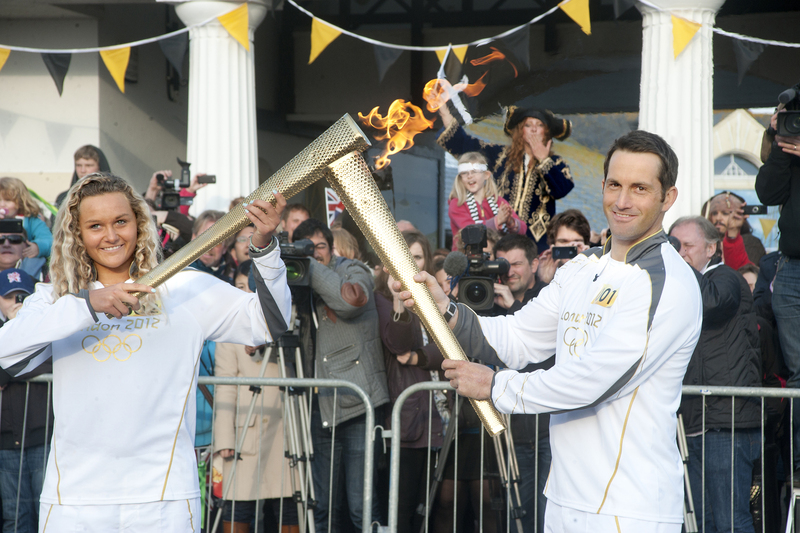 The strategy used a wide range of activities to provide information about the Torch Relay for local communities, the public and the media, and to promote Cornwall regionally, nationally and internationally. These included the production of fact files for the 21 Cornish communities along the route of the Torch (a “first” which was subsequently promoted by organisers as an example of good practice to other parts of the country); media releases, articles and features; social media posts, websites; an online media hub; posters and banners; briefings for partners; press packs and community newsletters. An estimated 189,000 local spectators (35% of Cornwall’s population) watched the first day of the Relay, with 2,000 tweets and 80,000 website hits, generating an estimated £3.7 million spend in the local economy. 240 reporters, photographers and film crews from around the world came to Cornwall to cover the event, with the subsequent media coverage equating to a PR value of around £17m. Following the event Trisha was asked by the London Organising Committee of the Olympic and Paralympic Games (LOCOG) to provide advice and guidance to communications officers in other parts of the country. She was also awarded the CIPR Partnership Award 2012 and the Cornwall Council Award for Creativity and Innovation.